The Black Stars of Ghana are currently in camp preparing for their final Group F game against the harambee stars of Kenya in the 2019 African Cup Of Nations qualifiers scheduled for Sunday 24th March, 2019 at the Accra Sports Stadium. Although both sides have already booked their place in the tournament, top spot in the group is yet to be guaranteed and a win for Ghana on Sunday will mean they will finish the qualifiers as group winners while Kenya needs only a draw to achieve that. 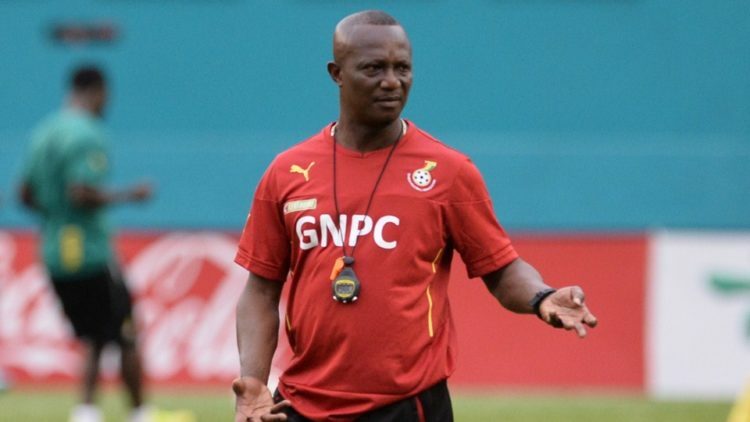 Monitoring the training session of the team, coach Kwasi Appiah is likely to deploy a 4-4-2 formation on Sunday. Maritzburg Utd shot stopper, Richard Ofori, will maintain his position between the sticks for the team. John Boye and Kasim Nuhu will play at the heart of defense while Daniel Opare plays at right back and Kwadwo Asamoah on left back. Mubarak Wakaso and Thomas Teye Partey will play at the heart of midfield while Captain Dede Ayew and Christian Atsu will play the right and left wing respectively. Jordan Ayew and Emmanuel Boateng will complete the team by being the two frontliners. Baring any last minute changes, this is expected to be the lineup for the Black Stars on Sunday at the Accra Sports Stadium.